This time of year always sparks my desire to make some new Spring clothes. There are two online "maker movements" going on in May. The idea is to wear at least one item you have made each day. I am going to try and do that, and sew up a few new items for myself. 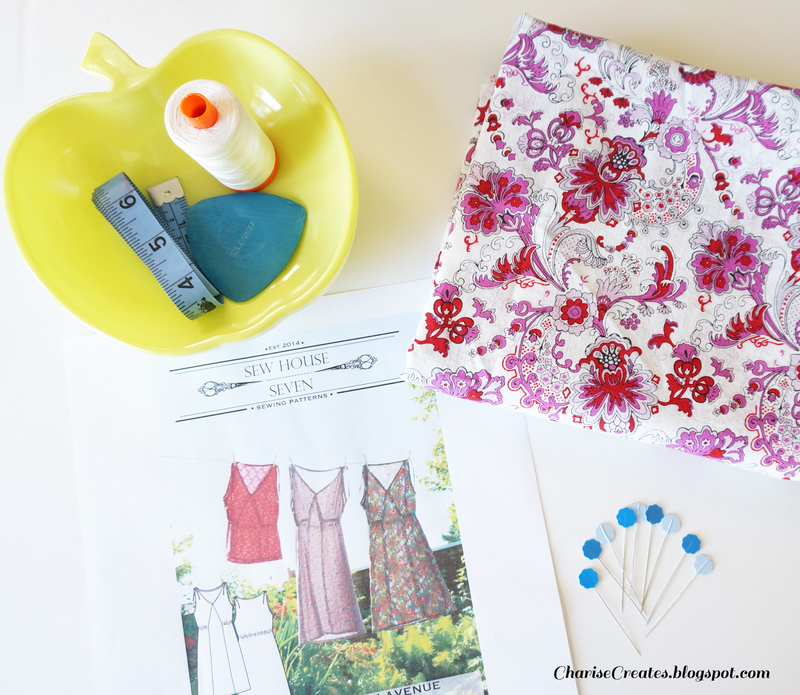 This challenge is all about supporting independent pattern designers, by purchasing one pattern per week, 5 in total, from indie pattern designers during the month of May. I am going to make the Mississippi Ave Top from Sew House 7. Supplies are gathered, fabric washed and pressed, and cutting will (hopefully) commence later today. 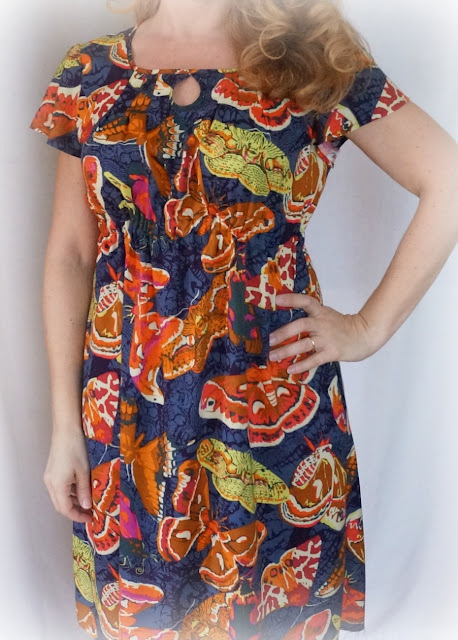 This is a pic of my Anna Blouse I lengthened and made into a dress. You can find pics on Instagram with the hashtags #MeMadeMay & #MayisforMakers. Thanks for sharing, Charise! This looks like a fantastic summer pattern. Also I love, LOVE the fabric in your photo -- can you share the source? Is it a Liberty lawn? And if so, do you think you'll need to add a lining to the Mississippi Ave top?